Another track day yesterday with the XP10 back in. I beat on these brakes like never before and they were amazing, 100% consistent every single lap. The better heat management is noticeable too. 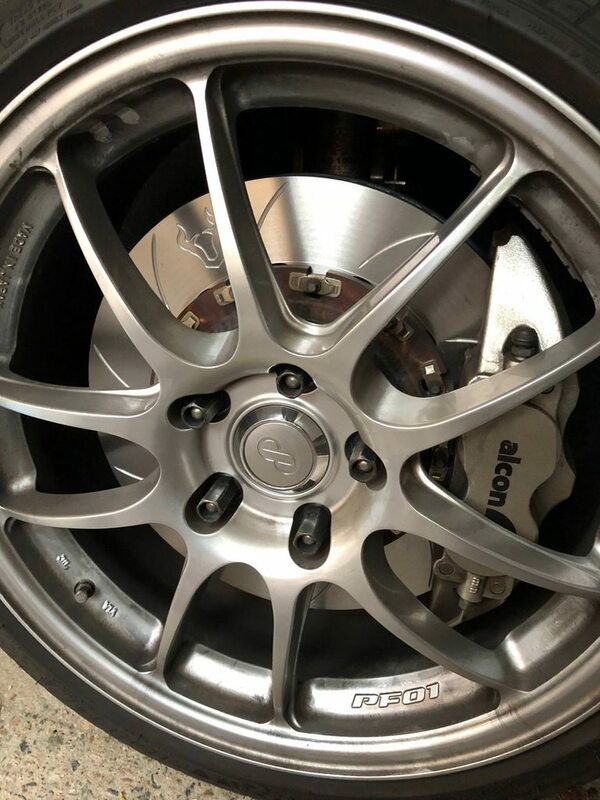 They aren't absolutely roaring hot after a session like the oem ones were, they run so much cooler that the front tyre pressure rise is actually 1-2psi less as well. Better pedal progression and release modulation makes trail braking and rotating the car on turn in even more controllable than before. This was my main concern as I was was worried any more forward bias might cause the car to push. Stopping distances are maybe slightly better but it's mostly the extra consistency that breeds confidence that I am liking. YAY! Update! It's time for an update! 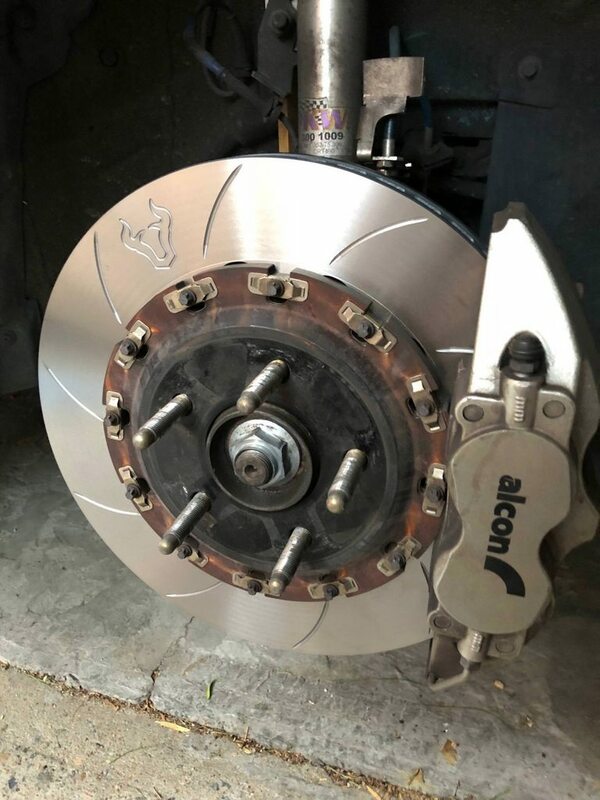 The Alcon Rotors that came with this kit are a street focused steel, they did fine at the racetrack as well but I heat damaged and wore them down enough to warrant replacing them. 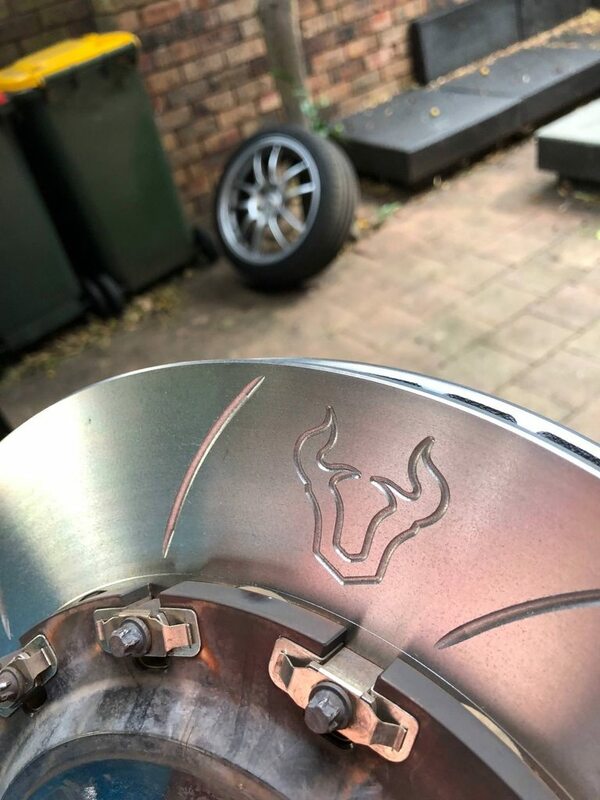 Enter Forza, these are a motorsports grade steel so should last a bit longer than the Alcon ones did, with the added benefit of being HALF THE PRICE. 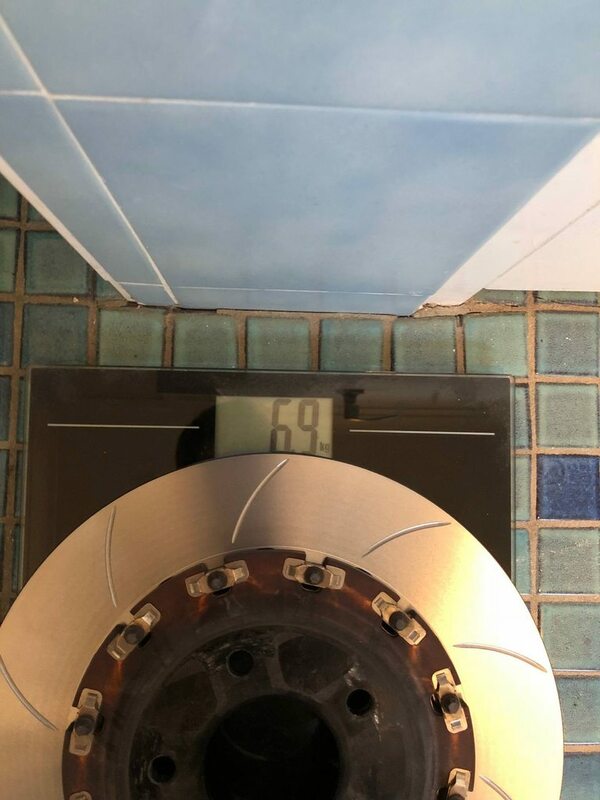 Couldn't help but weigh them after assembly, for those playing along at home these are about 600g lighter than the Alcons were which makes them even lighter than the DBA5000 rotors I was using with the stock brake setup. Not bad considering they are 12mm larger in diameter and 3mm thicker. Not sure i'm a fan of this kind of aggressive branding but whatever. 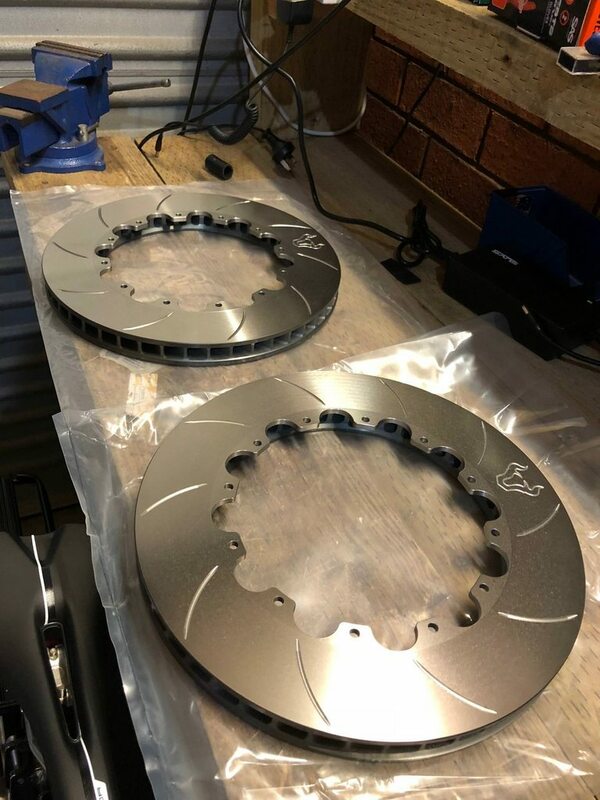 They look pretty cool, altho it's hard to compete with the presence that the Alcon rotor slot pattern has. Been out to give them a quick run and bed the pads down as well. 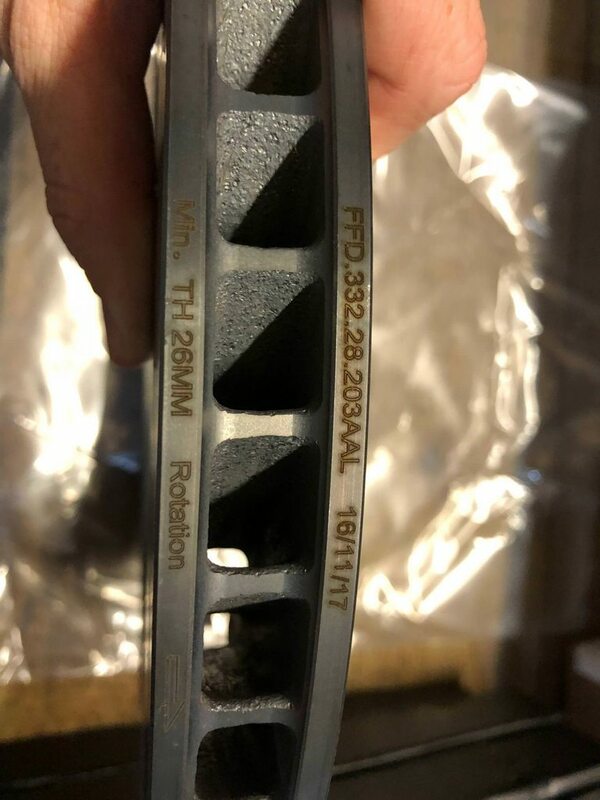 One thing i've noticed immediately is these ones are a lot more forgiving at the start, the Alcon ones had extremely coarse machining marks on the rotor surface that made them extremely abrasive at first and I didn't like that at all. These ones have a much smoother surface from the factory which makes them a lot less grabby. It's the middle of summer here right now so will probably be a while before I get a chance to hit the racetrack with them, but i'll be back with the final report after i've done a track day or 2. 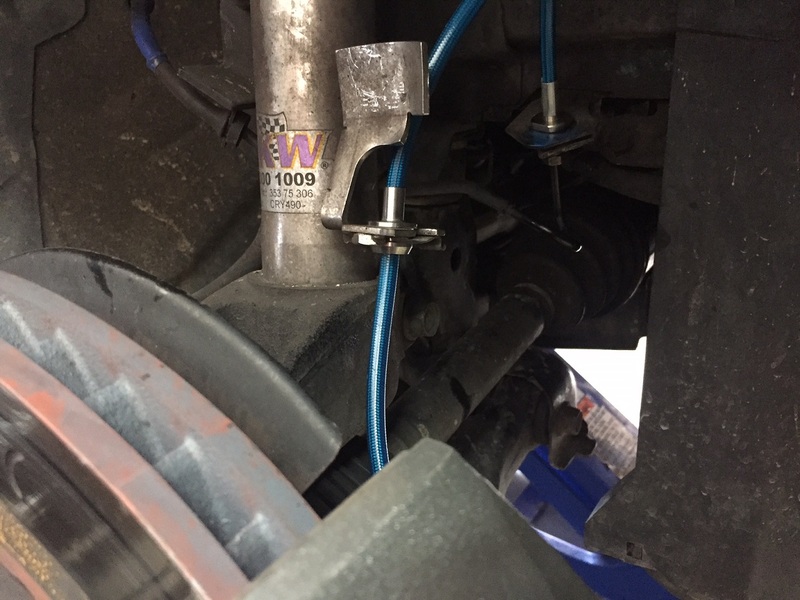 The alcon slot pattern actually made a bit of a funny noise under hard braking so it will be interesting to see if these resolve that. Looks awesome and keen to hear how they go in the track. I'm surprised the alcon ones were street-focussed. What's the downside for using race-focussed steel? Its just more expensive. No downside otherwise. 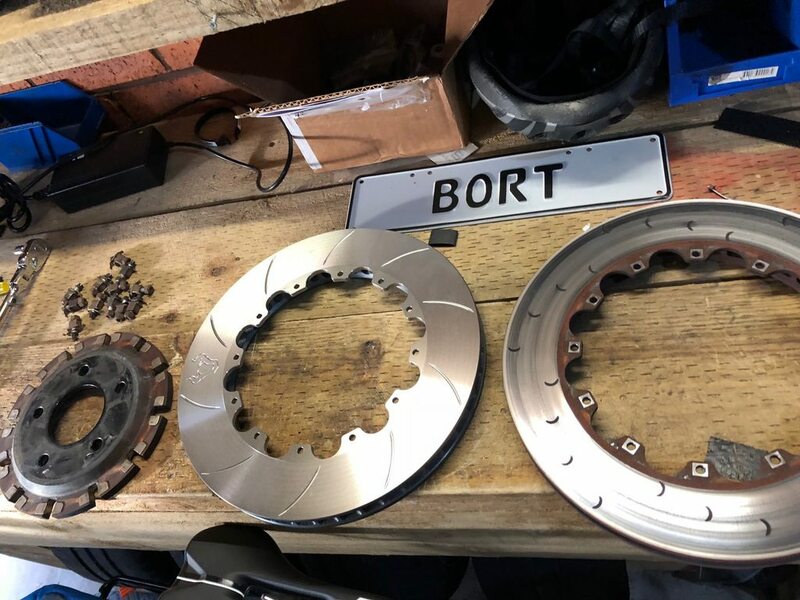 The forward-facing curved slot (and indeed, logo branding of the rotor) is exactly the same as what Brembo does on their high-end motorsport rotors. The logo is at a much thinner depth and has no bearing on performance etc.